I got a phone call with only one sentence at my work place - where my name really was not associated with the phone in the office I used. It said Mammograms save lives. I went the next day and found that I had breast cancer. NOT a coincidence. Life saving! Thanks for the great interview. I am a typical Virgo! No need to enter me in the contest, just wanted to say that this was a wonderful post! I really liked the bit about color/shape perception and think the author sounds like a very interesting person. You are so lucky to have gotten to chat with her Lenore! Hi Susane, I have always been fasinated with horoscopes and fate. I was told yrs ago if I had had the proper training I could tell people things from their past and from the future. I was excited to read you have colors associated with things as I do. My lucky # is 13. Would love to win your book. I know I will enjoy reading. Thanks for stopping by to chat. When we lived in Alabama, we had just dropped Vance off at school in Virginia. We stopped to get gas and someone saw our license plate and commented that we lived in Lee County and then asked if we knew someone, It just so happened the the guy he mentioned worked for Carl. I haven't had Volvic water since we lived in France. At my high school we recieved our schedules on the first day of school before first period. My schedule was extremely mixed up. I was put in a boy's gym class (i'm a girl) I was in classes I had already taken or classes I hadn't signed up for. As I was waiting in the office for a schedule change a boy walked in wanting his schedule changed too. He sat next to me and started a conversation that made me laugh the entire time. He told me he liked my laugh, but before I found out his name I was called into the office. I didn't see him after that for the entire first semester. He was transferred into one of my classes in the second semester. When he saw him he wasted no time coming up to me. He sat next to me and said "I spent the entire first semester wondering what you're name was. I love you're laugh. Can I take you on a date?" And here we are now, about to graduate college, engaged. I have to wonder if my schedule hadn't been messed up and he hadn't heard me laugh, would he have been just another boy in my class? I definitely think it was fate that brought us together. I have a sweet coincidence, i was at my computer earlier in the morning on a tuesday, drooling over the new upcoming books in may and june, especially everlasting by angie frazier, it looked amazing. i put it on my wishlist and marked it down as a must read. later in the day, i went to my library, and the librarian is nice and very informative about the new ya books and tells me when their getting them in to the library. i was telling him about the book everlasting and how much i couldnt wait to read it. Low and behold, he told me to wait at the desk, he had to go fetch something. believe it people, he came back with an arc of Everlasting and an arc of the sky is everywhere by jandy nelson. I was 100 percent thrilled, so excited, i was grinning from ear to ear. He said he just received them through yalsa yesterday and that i could have it! the best librarian , i wanted to send him a gift basket and make him a t-shirt as the worlds greatest librarian for giving me not one but two arcs that dont release until may. it was the best day and truly a fabulous coincidence. My high school screwed up my schedule and I ended up with no math class. When I went to talk to the counselor, there were very limited options as to what classes I could take, so I was put in a Photoshop class without really being asked my opinion and now I'm doing Graphic Design as my major in college. My uncle has been married to a woman for as long as I can remember. Earlier this year, I found out that one of my best friends was the cousin of his wife! His wife is a big beyotch! During the summer before 6th grade, I moved to another city an hour and a half away. 8th grade he moved away. One month into freshman year, and im waiting at the bus stop minding my own business, when he runs up and hugs me from behind (scaring the crap out of me BTW). Not only did he move back again, for the second time, going to school with me for the third time, but this time he lived 4 blocks from me. We became even better friends, but we had a huge fight, and a falling out, and he moved away again. But its still weird to think that of the (un)coincidence that kept bringing us together. Oh my goodness. This has to be a coincidence that just occured. I was wanting to read this book (Something Like Fate) but at the moment, I was looking for the book Take Me There. I was oblivious to the same author. And I just found out that both books that I've been wanting to read are from the same author! I know that sounds really insignificant and stupid, but I thought that was a huge deal. I really hope you won't pick the winner by the most interesting coincidence, because mine is not that fascinating. My dear friend Carol and I met in a neat way. She began visiting my church and one day called me up out of the blue when she saw me on the prayer list. We have been friends ever since. The most ironic thing is that neither one of us go to that church anymore. It was pure fate, or as I like to think is that God put the two of us together because we were meant to be friends. Pretty cool!! Friday, I wrote "Call Aditi" on my hand before running my on-campus errands. I ran into Aditi, which is pretty coincidental on a campus of 50,000 people. Very good coincidence for me since I hate talking on the phone. And I agree about water tastes. I buy the cheap stuff, but I like Dasani best whereas my mom likes Aquafina. But generally I carry my own bottle full of tap water. I just made a comment about this to Susane a couple weeks ago, but I'll post it here too, since it's one of my best "non-coincidence" stories. Years after I became friends with a girl who lived across the country from me, she posted some old poems that she had written well before I knew her. One of them was... MY poem! It was *identical* to a poem I had written years before I knew *her*! It even had the same title. Mine, however, had one extra verse, but everything else was the same. At first we thought it had to be a mistake. I asked her if she'd posted it online anywhere, or sent it to friends. And most importantly, I asked her when she'd written it. As it turns out, WE WROTE IT ON THE THE EXACT SAME DAY - *before* we'd ever met each other! Additionally, I'd based my poem on a particular melody, so it had to fit that rhythm. She had not. My friend is skeptical and objective, yet open-minded. We actually Googled each line and everything to make sure it wasn't coming from somewhere else, but it wasn't. We're still great friends after ten years, and recently met each other in person. I definitely feel an extra bond with her after what happened. 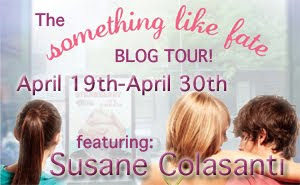 Thanks for being part of Susane's blog tour! It was a great topic. We have an uncommon surname and when my DH and I visited Williamsburg, VA many years ago, we checked into a hotel and were surprised to be told by the front desk that our relatives who had the same surname as ours had already checked in. We weren't aware of relatives on the east coast but were really curious so we checked them out, got invited to their hotel room where they were having a potluck. We discovered wonderful relatives/ family and have been connected ever since.... and it all started in Williamburg, of all places. I was walking down the street with my friend talking loudly about God only knows what, and a guy walks up to me and goes Rose? It was my best friend from high school. We lost contact while he was in the marines. We started spending time together again and three years later we live together and are getting married soon. Not a crazy coincidence but one that has definitely made me happy. Back in 2002, right after I graduated college, 2 friends and I went to Europe. While there we ran into 3 different set of friends (none of us knew the other was going). How random--and then there's more. One of the guys that my friend knew, David, hung out with us for the rest of the trip and we had a blast. About two weeks after we got home, my mom called and told me that I would never believe what had happened that day. My mom was telling a fellow nurse that I had gone to Europe and she had brought some pictures in. The nurse said that his son had just gotten back. My mom pulls out the pictures...and the other nurse's son was David! Apparently David and I had grown up in the same city but gone to different schools! *squees* Thanks for offering this giveaway! Unfortunately, I don't have memorable brushes with fate.. :( Although I do believe in signs and the stories already posted in the comments are amazing. Once I lost my dog, and I was heartbroken. I put ads in the paper, offering a reward and put posters all around town...looking for him. Finally, when I had given up hope, the police station from the neighboring town called me! They had him! And he was safe! My fiance and I met at a party and have been together since. Now, he says we met a few years before that (which I don't remember) but I just think that we weren't meant to have been together at that time. I know I wasn't ready for a commitment then. So I'm glad we were given a second chance. Gosh. I don't know about any coincidences I've had. Maybe my memory is just bad... Although after college, I ended up getting a job at a library only to later find out a girl I had gone to college already worked there. Of course, we had lost touch during those few years and it was nice to reconnect. And even though I've since moved to a different state, we still keep in touch on a regular basis. Which is always a good thing. Thanks! No need to enter me in the contest because I already have Something like fate, but I just wanted to share a cool coincidence story! (One of many). In elementary school, I had a really good friend named Amelia. We hung out all the time up until 5th grade because she had to move to Tennessee. She would call once in a while, but eventually we just lost touch. I didn't know her number, she forgot/lost mine. Then, after being harassed by fellow classmates and basically hating every second I was at school, I switched schools to the high school that was in the next town over halfway through my freshman year. About a month or two later, I heard people talking about another new girl in the school. They were talking about how pretty she was and how she was related to one of the kids in our grade. I also thought I heard someone say she was from Tennessee. At the time, I hadn't met her yet so I didn't think anything of it. But later on that day, I saw her in the hall and just thought Oh. My. God. That is Amelia! I ran up to her all excited and asked her if she remembered me and all that jazz. We ended up being best friends for most of my high school years. Eventually our friendship kind of fizzed out and we only talk once in a little while now, but I really think it's amazing how coincidental the whole situation was. If I hadn't moved, I would have never seen her again. And the weirdest thing was how she moved right after me. Fate is definitely one big mystery. When I was in kindergarten, I became inseparable from my best friend, Elizabeth. During first grade, she moved away, and I was heartbroken. Of course, first graders aren't exactly prime candidates for keeping in touch with long-distance friends, so naturally, I didn't think about her for a dozen years or so. Then, first day of college, I walk into biology class and sit next to a girl who introduces herself as Beth. We get to talking and 15 minutes into the conversation, we realize that we had been kindergarten buddies! I didn't recognize her at all, and it was pretty incredible, considering we were both hundreds of miles away from our hometowns! Who'd have thunk it, eh? 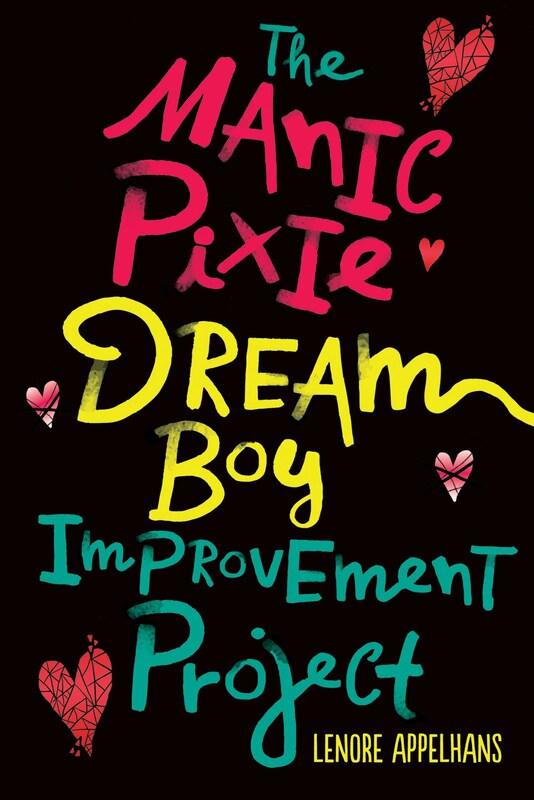 This is a terrific contest and I've really been wanting to read one of Susane's books. CONTEST CLOSED. Winner has been notified.